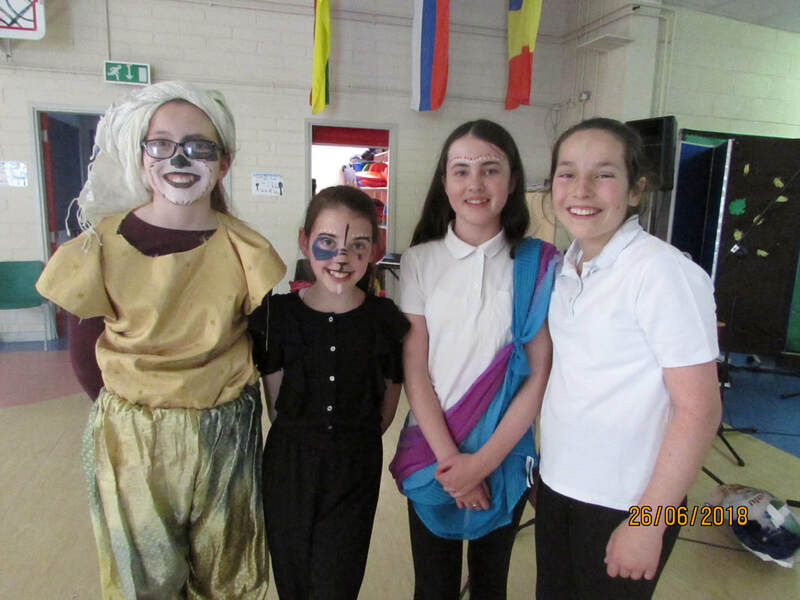 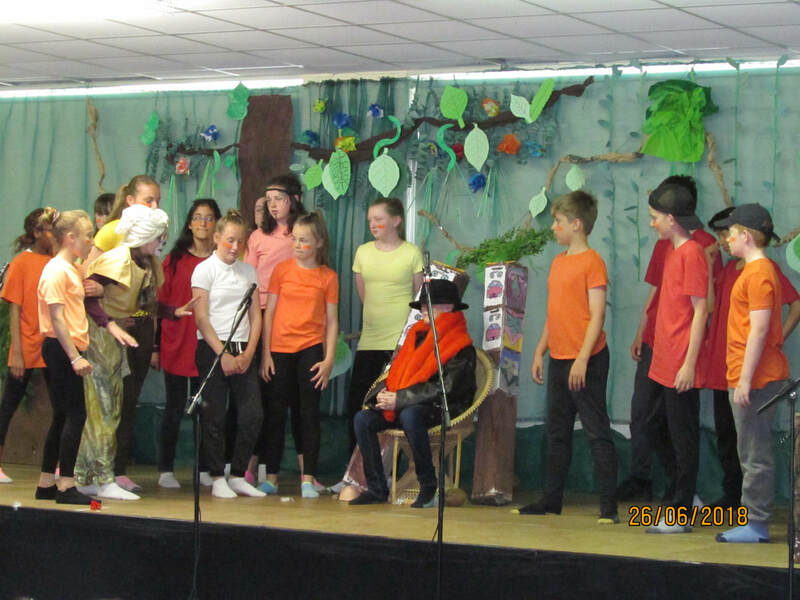 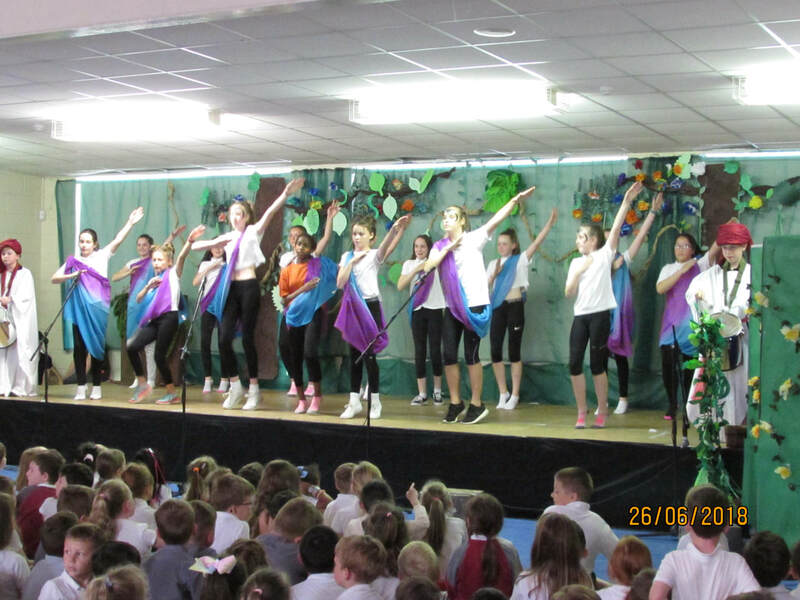 Drama has traditionally played a part in St Seachnall's for many years and we continue to offer our pupils the opportunity to attend Drama classes for 10 weeks every year from Junior Infants to 6th class. These classes are provided by Joan Hand (LLSMD) and cover many aspects of drama including; mime, movement, improvisation, puppetry, poetry, music, dance, creating and participating in original and traditional theatre. 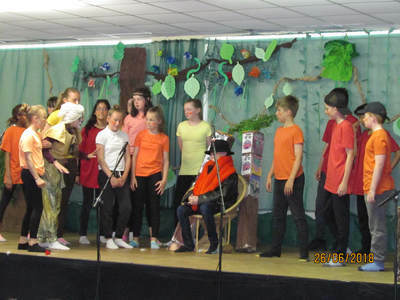 "Research has shown that drama has a positive impact on a students physical, emotional, social and cognitive development with particular emphasis in the following areas; self confidence, imagination, communication skills, empathy, language, concentration, problem solving, collaboration/co operation, aesthetic appreciation and fun"
(Association for Drama in Education in Ireland).